The Minthealth offering is now closed and is no longer accepting investments. MintHealth is a global, decentralized health platform that aligns healthcare stakeholders around the shared goal of patient empowerment and improved clinical outcomes, at lower costs. To achieve these goals, MintHealth is introducing two tokens on the Ethereum blockchain: Vidamints and the MintHealth Security Token. With 40-56M annual deaths*, globally, from chronic conditions, MintHealth set out to solve a simple problem: patient data is fragmented and spread across multiple data silos, making them unavailable to educate and empower patients to be more proactive about their own health. This means patients are relegated to passive rather than proactive rolls in their own health care, leading to rising healthcare costs, poor medical outcomes, and immense poverty in the developed world. So we came up with the solution. It's a healthcare blockchain platform as a service that leverages token incentives and blockchain infrastructure to empower patients with a health identity – a global, holistic personal record of their medical and behavioral data. Our VIDA tokens will be purchasable by self-insured companies, regional and national health insurance companies and governments and will be used to incentivize patients and employees to perform healthy behaviors: giving them added bonuses to asserting agency in their own health journey. Our MintHealth Security Token holders will receive a dividend of sales and equity in MintHealth as we continue to grow and succeed. Our expertise in the medical fields coupled with deep blockchain expertise is transforming healthcare. We're leveraging the success and technologies of our Co-Founders' prior companies: Nucleus Health and MD Revolution that positions MintHealth as the industry pioneer with a compelling head start in the landscape. NucleusHealth provides secure and scalable patient medical record storage and access. MD Revolution provides a patient engagement platform, a digital care management solution for doctors & hospitals, and an analytics suite. With our MintHealth Security Tokens, holders will receive a dividend of Vidamints sales, equity in MintHealth, and liquidity on the security token exchanges. When you invest you are betting the company’s future equity value will exceed $37.7M. Description: The Minthealth Token Class MHST "MHST" will represent a single share of non-voting stock of the company, with rights and preferences as designated in the articles of incorporation and summarized in the Offering Document. MintHealth has the ability to effect transformational change. We're placing Patients at the center of healthcare by working closely with our leading visionaries and technologists in Healthcare and Blockchain. Our Advisors, Health Care Professionals, Customers and Partners are unanimous in their belief that our Platform is compelling and transformational. MintHealth is a powerful mix of Blockchain, Patient Engagement and Care Management expertise, Data Integration Platforms, Analytics, Machine Learning along with a proven team that have had commercial success launching first-of-a-kind digital products and services. All the MintHealth Platform services are available through an API that 3rd Party app developers can leverage in their existing apps, and/or through intuitive and streamlined MintHealth mobile app experience. As of March 2018, MintHealth's technology development has begun. The technology components are the Patient Health Record Distributed Application (Dapp), the Health Data Integration System, Blockchain for Health Data, and Utility Token Implementation. Of these, the most challenging and differentiating is the Health Data Integration System. MintHealth has proprietary access to a fully operating Health Data Integration System and Team, via our deep relationship with MD Revolution. MintHealth is using that system to springboard the development of our Blockchain-Enabled Health Data Liquidity platform that underpins our Self Sovereign Patient Health Record within our Dapp. Our Product Roadmap has us completing our Minimum Viable Product (MVP) by Q4 2018 with first consumer use also in Q4 2018, and first Healthcare Customer use in Q1 2019. After the MVP, the product will expand to include more available actions to take and outcomes to attain for users, and for select healthcare customers to select. This will expand the types of data stored together at the individual level, producing ever more accurate and advanced ways to affect healthful outcomes and reduce healthcare spend overall. MintHealth will also extend its platform to other healthful goods, services, and technologies, allowing them to "tokenize" their solutions via an API, and a display "widget" or "plug-in." This integration utility will be built to ensure MintHealth is a true "platform-as-a-service." With the ongoing expansion in scope of data points, as well as growth in user base, MintHealth will begin applying Machine Learning to rank the success of certain actions and programs against clinically-validated outcomes. This will further the optimization of the ecosystem's ability to define high value behavior and then drive it with incentive token allocation, social gamification, and peer support systems for users. This post-MVP expansion will span 2019. On a 2+ year horizon additional capabilities leveraging the unprecedented breadth and depth of human-centered data within MintHealth, and the power of Mint's foundational concept that each person owns their own data, immutably recorded by Blockchain, will bring virtual clinical study features and other advanced analytical capabilities. Ultimately, this path will cause a truly person-centric health data model to emerge, inclusive of data collected from healthcare, consumer, and other sources. This comprehensive model coupled with our Platform-as-a-service APIs will allow MintHealth to transact more complete data about a patient between health providers, automatically. Such transactions will be inherently HIPAA compliant and compatible with the complex health IT systems that clinicians use. This will surface immense opportunity for a health provider to create vastly more value for a patient at time of service, e-service, or even fully autonomous service. MintHealth will retain Vidamints (VIDA) as a pure utility token used by risk bearing entities (insurance plans, self-insured corporations, health systems, etc.) looking to reduce the cost of caring for moderate and high-risk patients and employees, as well as to build brand loyalty for companies similar to reward points for airlines and hotels. As the primary revenue stream of MintHealth, VIDA tokens will be used to engage patients with daily, highly personalized activities that can be redeemed across multiple ecosystem stakeholders while improving patient health and lowering insurance costs. Under this token structure, VIDA are solely a digital product sold for use in the MintHealth ecosystem and are not traded on an open exchange. The VIDA token provides complete transparency on the quantity and price of tokens that are sold, as well as complete transparency and verifiability of the revenue that is payable to MHST token holders. TELEHEALTH RESTRICTIONS LOOSENED AFTER TRUMP REQUEST: Restrictions on telehealth services are being loosened after acting Health and Human Services (HHS) Secretary Eric D. Hargan declared the opioid epidemic a public health emergency at the request of US President Donald Trump. MintHealth, a medical provider based in San Diego, announced its intention to build a blockchain-based platform where patients can track their healthcare-related records while providers will be able to monitor the state of their patients. MintHealth, a San Diego-based startup, unveiled a blockchain-based decentralized personal health record Oct. 26. MintHealth is developing a global, decentralized health platform that aligns healthcare stakeholders aroundthe shared goal of patient empowerment and improved clinical outcomes, at lower costs. Non-Voting Common Stock designated as "Mintheath Token Class (MHST)"
Description: The Mintheath Token Class MHST "MHST" will represent a single share of non-voting stock of the company, with rights and preferences as designated in the articles of incorporation and summarized in the Offering Document. Please see the Offering Document for a complete set of terms. 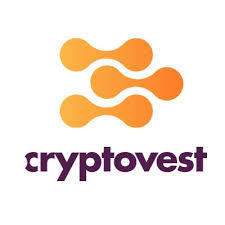 Exchanges: to be determined at a future date, pending the availability of a compliant ATS or exchange capable of supporting secondary trading in MHST. Minthealth will offer 10% additional bonus shares for all investments that are committed by StartEngine Crowdfunding Inc. shareholders (with ≥ $1,000 invested in the StartEngine Reg A+ campaign) within 24 hours of this offering going live. StartEngine shareholders who have invested $1,000+ in the StartEngine Reg A+ campaign will receive a 10% bonus on this offering within a 24-hour window of their campaign launch date. This means you will receive a bonus for any shares you purchase. For example, if you buy 100 shares of Minthealth Token Class at $0.25 / share, you will receive 110 Minthealth Token Class bonus shares, meaning you'll own 110 shares for $25. Fractional shares will not be distributed and share bonuses will be determined by rounding down to the nearest whole share. As you might know, Minthealth has exceeded its minimum funding goal. When a company reaches its minimum on StartEngine, it's about to begin withdrawing funds. If you invested in Minthealth be on the lookout for an email that describes more about the disbursement process. BTC payment option is now live!!! Hi Everyone! Thank you for the ongoing support of our project. We have some exciting partnerships and progress that we will be announcing soon! make sure you are following us on our social platforms and are subscribed to our newsletter to keep up (linked below)! Also, we are happy to announce we can now accept Bitcoin as payment on our Reg CF offering. Health experts will generally agree that there are myriad issues facing healthcare today. At the center of this is patients’ inability to control their own health record and seamlessly share it with key stakeholders. In addition, the need exists for a way to incentivize healthy behavior in order to stem the global tide of chronic diseases. Actively engaged in providing solutions to address these issues is the startup MintHealth, a decentralized health platform replete with a portable, secure and self-sovereign personal health record that employs blockchain technology. Launched by a team of healthcare veterans, MintHealth’s patient-controlled health record will include vital laboratory, medication, medical imaging, vital signs (e.g., MRT and CT scans) and other critical health data. The platform gathers information from existing medical record systems as well as from the patients via the web, their mobile applications and connected devices. Patients will control access to their information via smart contracts that are tethered to a blockchain and executed by the MintHealth application. Health practitioners, coaches, case managers, family and friends can then gain insight from the data via social modules baked into the MintHealth application. Ultimately, the goal is to utilize a community-based approach to boost awareness around chronic conditions and how they can be addressed. Tell us a bit about the genesis of this project. How did this start? The two co-founders are very successful physician entrepreneurs: One of them is Samir Damani, who founded the chronic care management company MD Revolution. The other founder is Vishal Verma, MD, who is the CEO of Nucleus Health, a very successful imaging technology company. They met and began to explore how they could leverage blockchain technology to address some of the chronic conditions they were seeing with patients. That was a couple of years ago, right? I think it was probably around January of 2017, around that time. They started to see that there was potential here to really develop value for the patient. One of the biggest problems in healthcare are the silos of information that are locked inside the electronic medical record (EMR). So, their initial reaction was that there is an opportunity here to [both] dissolve these silos and put the patients in control of their data. Where did the efforts go from here? Right from the get-go, Samir saw an opportunity with chronic diseases such as heart disease, diabetes, obesity and so forth. They started brainstorming about it, and that led ultimately to a white paper that Samir and Vishal wrote. And what was their premise? That most of those diseases are preventable if people just do a couple of things around diet and exercise and staying consistent with whatever medications they are on. So, the thinking was, blockchain [technology] not only allows someone to get more control of their medical information, but the underlying infrastructure of blockchain [technology] has this incredible token incentive infrastructure. So, that is how the whole thing started. How did you get involved with MintHealth? I was at the Connected Health Conference in Boston around October of last year, [and] I heard Samir talk. After his presentation, I just ran up to him and hugged him. I said, “I can’t believe that someone is not thinking about this; how can I get involved?” So, that is how I got involved. I’m both the COO and the chief strategy officer. I am not a physician, but I have deep roots in the health industry ecosystem through manufacturers [like] Amgen and large healthcare enterprises like McKesson. I also have a background in blockchain [technology] and saw where it could truly transform this industry. So how have things evolved since you arrived? In terms of the infrastructure, they hadn’t been thinking about a comprehensive platform until my involvement. For me, MintHealth was more than just having an app with a wallet and tokens going through it. I said, “No, what we need to do is enable the entire industry here.” In other words, we need to bring all of that into an ecosystem that’s about tokenizing both third-party apps as well as reaching out to communities with at-risk populations. That’s how I got involved and the value contribution I started with. There are a ton of blockchain projects out there trying to offer solutions to the healthcare industry. What is your assessment of this space? All of the various blockchain projects, based on my research, are still trying to solve problems with solutions that have failed. What I mean by that is everyone is trying to create their own hub. They are saying, “Come to us, and we will displace the EMRs.” Or, “We will be the self-sovereign EMR of choice in the industry.” That is not our approach here at MintHealth. The average hospital has 15 EMRs in place, [and] they are all struggling with that environment. Our approach is to enable the EMRs and not displace them or disrupt them. I don't know anybody who has that approach. In terms of your strategic approach, what’s the biggest roadblock you’re facing at present? I think that there are a couple of things. One is knowledge about this whole space — the blockchain space among those in the healthcare industry. There is confusion and so much misinterpretation about what it is and what it isn't. So what exactly are you hearing? Honestly, I think the biggest challenge we face is that you can’t just go into an enterprise and replatform that enterprise to use blockchain [technology]. It does require some design thinking. It does require an understanding on the part of the organization of the problem they’re trying to solve and how they can reimagine their business. What sort of emerging trends do you see on the horizon over the next 12 to 18 months, in terms of the intersection between blockchain technology and healthcare? What you are going to see is blockchain [technology] take on a trajectory much like the early days of the internet. Not just in terms of computing, bandwidth and storage, but also things around security and privacy. So over the next 12 to 18 months you are going to see identity management, authentication, provider verification and data marketplaces start to establish themselves because there is going to be a lot of value from these. Any final thoughts on this point? You are also starting to see now, and will, over the next 12 to 18 months, see big development platforms like EOS, NEO and Lisk come online. They are going to provide the enabling environment to build out the distributed applications and so forth that provide major capabilities. Finally, over this time period I see a lot of the innovation taking place with infrastructure, development and digital commodities platforms. All of these developments will make for interesting times for sure. MintHealth: StartEngine extension, partnership updates! We have extended our Reg CF Offering! Due to continued excitement around our CF offering, we have extended our campaign 60 more days. Read our Medium post about why we’re holding a Reg CF. We are kicking off our Monthly advisor Spotlight with Hector Rodriguez. This spotlight will be a series of interview with our advisors on their thoughts on Blockchain, Healthcare, MintHealth and beyond! Stay tuned for more! 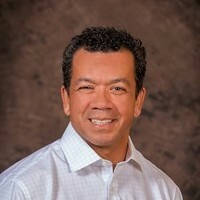 Hector Rodriguez: Worldwide Health Chief Information Security Officer, Microsoft, leads Microsoft’s work in health cloud compliance, health standards, cybersecurity and privacy, and blockchain in health. Hector works to ensure that healthcare security, privacy and compliance are foundational to Microsoft’s healthcare digital transformation strategy. His work is aligned with a covered entity’s “Triple/Quadruple Aim” objectives to improve the patient and caregiver experience, improve population health and reduce costs. Issued in conjunction with Polymath, the MHST token is the first security token issued in healthcare representing equity ownership for token owners, and will be configured, launched and managed on the Polymath platform. MintHealth will use Polymath’s Security Token Standard Protocol, ST-20, which simplifies the process of creating and investing in MHST while embedding legal and regulatory compliances into the token themselves. MHST will be listed on OpenFinance Network (OFN), a trading platform for tokenized securities. OFN works with institutional and retail investors, on a global basis, deploying blockchain technology to facilitate more efficient trading of securities. 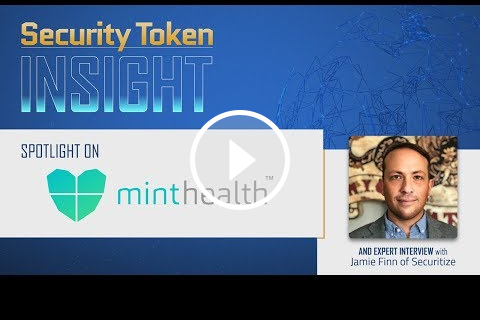 MintHealth Featured on Security Token InsightSecurity Token Insight recently spotlighted MintHealth and chatted with Jerry Gross, Chief Operations Officer, of MintHealth. Learn how we're putting your health on the blockchain. 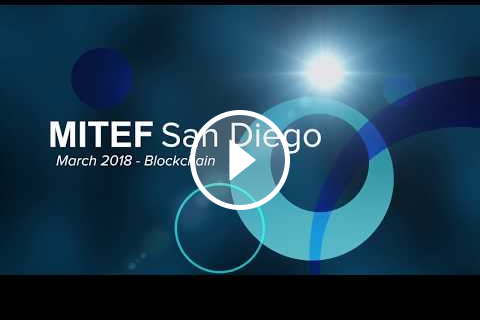 Watch a presentation by Co-Founder and CEO, Samir Damani (7:30 mark) followed by the interview with Jerry (18:51 mark). Igor Denisov is VP of Strategy at Polymath. Igor leads strategic partnerships and integration for core platform competencies and broader services to security token issuers and investors. Prior to Polymath, Igor had a five-year career in Investment Banking at GMP Securities and BMO Capital markets. Spencer Mott is Senior Vice President and Global Chief Information Security Officer of McKesson Corporation. Spencer brings more than 30 years experience in technology and security, encompassing domestic, international, public and private sectors. His industry experience includes healthcare, technology, and government. Jeff Ramson is the Chief Executive Officer of PCG Advisory Group which he founded in 2008. He has a proven track record of more than 25 years’ experience on Wall Street, raising capital and providing strategic guidance for emerging public and private companies in various stages of development. He has been a student of, and an early participant in, the emerging blockchain and cryptocurrency sector for several years. Most recently, he established Proactive Capital Partners, LLC, a private investment firm focused on capital appreciation through investment in next generation technology opportunities. Jeff is a director of EV Blockchain Corp. and an advisor to CG Blockchain. In between setting up strategic alliances, talking to investors, and building out the product, here’s upcoming events we’ll be at. Minthealth has extended their offering 60 days and made updates to ownership within the company. Only 12 Days Left of our StartEngine Campaign! Only 12 Days Left of our Reg CF Offering! We're starting the countdown clock. Only 12 days left in our Reg CF campaign. If you haven't already invested, join the 100+ individuals who have. Read our Medium post about why we’re holding a Reg CF. 16 days left of the offering! Hi Everyone! Visit our page, only 16 days left of our offering! CREATING A NEW HEALTHCARE: Jerry Gross new podcast! Friends & colleagues,The rapidly escalating impact of chronic disease is devastating populations, employers, payers & economies - both in the U.S. and across the globe. The World Health Organization (WHO) projects that, by 2025, chronic disease will make up over 70% of all illness. At the present time, preventable chronic disease is responsible for over 40 million of the 56 million annual deaths worldwide. The WHO has also projected that the global costs of healthcare will more than double between 2015 and 2030 - from $8.4 trillion to $18.3 trillion - with an estimated global productivity loss due to chronic disease, in that time frame, of $47 trillion. This is clearly an unsustainable situation. Our guest this week, Dr. Samir Damani, is trying to solve this problem - of the escalating impact of chronic disease - by using blockchain technology. Dr. Damani brings a depth and breadth to this work by combining his skills as a clinician, researcher, technologist & successful entrepreneur. In 2011, he founded and served as CEO of ‘MD Revolution’, a gold standard technology-enabled service platform for Medicare’s Chronic Care Management program.Dr. Damani’s most recent endeavor is MintHealth, a decentralized healthcare platform designed to engage patients in committing to healthful behaviors - somewhat similar to current loyalty programs. An individual signs up on the MintHealth platform and accumulates tokens (aka ‘purchasing power’) by demonstrating healthful behaviors - anything from listening to educational material, to demonstrating improvements in diabetes, or high blood pressure, or weight. The tokens (called ‘Vidamints’) can be redeemed for healthful products. The blockchain platform facilitates the loyalty campaign, which is typically sponsored by an individual's employer or insurance company. In this episode, we discuss how MintHealth is addressing the following issues:· Interoperability - the ability to safely and securely move health data between closed electronic medical record systems.· Sustained behavior change - creation of an effective way to engage and empower people in their pursuit of healthful behaviors and optimal health outcomes.· Self-sovereignty - Providing patients with the ability to control and direct their own health data and records.· Economics - Driving down the increasing and unsustainable costs of chronic disease.Dr. Damani and his colleagues are creating a sustainable healthcare marketplace that directly increases healthcare consumers purchasing power through rewarding healthful behaviors and healthy outcomes. Their bold vision and mission is an attempt to solve one of the most significant and challenging problems of our era. To listeners of this podcast it will be abundantly clear that Dr. Damani is a passionate, persistent and purpose-driven leader. It’s also abundantly clear that he has his eyes set on winning the long game. I’m not a betting person, but if I were, I would consider placing my tokens on him and MintHealth’s success. By the way - if they win, we all win.As always, I hope you get as much out of this interview as I have! Hear from our CTO on how we will transform healthcare!! This is the first in a series of discussions on the technology behind MintHealth. This post sets the stage, and subsequent posts will dive into the technical details of each component within. Enjoy! At MintHealth, we understand that US Healthcare is a complex machine with many players and silos. Each stakeholder has its own entrenched interests and agenda. There isn’t true transparency to the cause-and-effect relationship of individual behaviors to the spiraling health cost overall. Furthermore, the inclusion of insurance in the whole system reduces the direct incentive an individual has to truly care about his or her behavior today, which affects cost a year or more into the future. In our view, the equation for moving to an improved, high-value healthcare system has four components. Action Incentives, Clinically-validated Results, Aggregated Data at the Patient Level, and Reliable User Engagement. The first component of the MintHealth solution is a direct financial incentive to the individual for behaviors which benefit his or her health. These behaviors, plus provable improvements in health, correlate to the medium and long-term cost implications for those paying for their healthcare (such as insurance companies). That’s a mouthful, but that’s the beauty of a token powered by a smart contract: the complex relationship between the patient’s action and the insurance costs need not be understood by the patient. All the patient needs to know is healthful actions yield VIDA tokens. And tokens can be redeemed for a myriad of valuable stuff! From the perspective of the healthcare payer, they need not be concerned with the concept of spending money on something that won’t work because unlike generalized population handling, the tokens are only earned by the patients when they complete an action known to connect to improved health, and when improved health is actually attained. The happy byproduct is an improved quality of life for the patient and a greater ability for healthcare to be more effective at lower cost. All with the simple story of an incentive model backed by a lot of logic. The second component is validating the changed behaviors of a patient have led to improved outcomes. This substantiation, that a patient has achieved a clinically-validated healthful result, could be something like improved bloodwork. To accomplish this, we look to the early campaigns our tokens are likely to be targeted at: patients with one or more chronic conditions. Some big needles to move in these populations are movement and diet related, which are reflected in biometrics gleaned from bloodwork and other clinically-administered tests. MintHealth will gain access to the data streams used to measure these things via token-incented “link to data” offers to patients. Connecting movement data (via Validic, FitBit, and others) or self-reporting a weigh-in results in tokens. Connecting to the patient’s health system’s portal to automatically link lab results and annual physical metrics are rewarded the same way. Based upon the confirmation of healthful action per these data streams, MintHealth awards vidamints with the majority released to be redeemed once the clinically-validated results play through. In this way, a patient can earn many tokens, but a large portion will be in a “hold for clinically-validated results” state until clinically-validated results are delivered. The beneficial consequence of this setup is data will be aggregated with the patient more than with other solutions. Why? We are paying them to do it and those paying for that have much to win by the behaviors proven by that data. There are so many Patient Health Records lying on the cutting-room floor because while nice technology, there was little to no reason for a patient, or a healthcare entity to adopt them. Now there is. Enter the third component: data security and sharing. This is one of the best applications for blockchain technology! At MintHealth, patients own their data, literally. It goes in their own personal cloud storage offered by third parties such as Microsoft Azure. The keys to their data are held by them and a data liquidity blockchain is enforcing the requirement for user authorization to even view that data. In this way, patients can be confident that they see their data and nobody else does. And when someone comes knocking at the door of their data, patients see who it is, why they are knocking, and how much token the patients can earn for releasing specific data components to them. They can accept or reject the offer; their data is perfectly secure. All of this is a perfect setup for a truly self-sovereign patient health record. A record that can serve the digital needs of the data-hungry machine learning health innovation of the future which users will be comfortable and incentivized to opt into. But it all only works if the patients themselves do the actions and are aware of the opportunities. In order to significantly improve health and health delivery, we must make patient self-sovereignty the cornerstone of a re-engineered system to improve care quality at lower costs. The key to accomplishing this transformation is an aggregation of valid, meaningful and valuable healthcare data with the patient at the patient’s perspective. What is all this worth if people don’t use it? So many good solutions never make a difference thanks to low adoption and low retention driven by systems that are not easily engaged. MintHealth’s approach is to meet the eyeballs where they are and in context. We think of this as outbound messaging with the right message, for the right person, at the right moment. Our system of multichannel, context-aware contact management is key to user adoption of great habits. Facebook messenger, in-app messaging, location-based alerts, user status knowledge such as “at home” or “traveling,” SMS, Alexa… the list goes on. Simple messages like “Earn more!” prompted by the complex-in-reality rules of the healthcare system we live in, reduced to an easy to understand value proposition, gives us the best chance to make real changes in people at scale. The number of and types of things patients can do to be healthy that earn tokens will expand over time, allowing the outcomes associated with those actions to promote the most healthful protocols and feedback to the providers of those protocols for continuous improvement. This structure drives continuous improvement to the core of the spiraling health cost problem. Many solutions push a health agenda that is good but don’t attack the critical problem of financial sustainability related to healthful action. Welcome to the proof-of-health revolution! Read more at our Medium page about why we’re holding a Reg CF. We recently presented at StartEngine’s ICO 2.0 Summit. and made great new contacts and pitched our Security token offering to 1000+ attendees - one of the biggest ICO events LA has ever seen. MintHealth CEO, Dr. Samir Damani, gave a compelling overview of the company and why our model was essential in the new Healthcare Blockchain landscape. A common theme throughout the program was the importance of creating offerings that are SEC compliant, so they have the longevity and ability to survive the evolving-regulatory environment. Our novel, dual-token structure was well received for this reason, and created excitement around security tokens being the next frontier. The crowd was also excited about our patient engagement model and attendees related their own experiences to the problems we’re solving. Last month, CSO Jerry Gross, took the stage at MIT Enterprise Forum for a panel discussion on how Blockchain will change business. See the full video below. Find additional video content on our website and YouTube channel. Our May event schedule is subject to change. Please reach out if you’re attending and would like to meet up - email info@minthealth.io. In case you missed CEO Samir Damani's fireside chat with Dr. Alex Cahana of CryptoOracle, LLC read this recap! Last Wednesday we had a lively conversation with Ildar Fazulyanov, CEO of JoinWell, a veteran in healthcare, fintech and VC and Samir Damani, clinician and technology entrepreneur, CEO of Mint Health on why and how they developed their CryptoHealth platform. Ildar’s journey started when he broke his leg abroad in 2015 and did not find easy access to quality care. His dismay from the lack of access and the high cost of care led him and his team to build a platform (he calls“the airbnb of healthcare”). It provides a 24/7/365 global network of multilingual doctors and specialists, where patients receive care in their native language wherever they are in the world. By simplifying payment fulfillments and lowering payment risk by adding a health gap insurance, Ildar’s vision of a decentralized token economy is projected to lower the costs of unforeseen expenses up to 30% compared to current rates. Samir’s patient-centric solution is different. As a cardiologist he is concerned of the growing chronic disease epidemic. Forty of the 56 million annual global deaths occur from preventable conditions like heart disease, diabetes, stroke and cancer. The medical community spends vast resources battling the complications of these diseases, rather than preventing them. Mint Health’s token economics (Proof-of-Health) is based on engaging patients, healthcare providers and payors in a redemption ecosystem. Both panelists spoke about the inefficiencies, waste and dissatisfaction from the current system. Interestingly, Join Well concentrates on “epistrophic” (episodic and catastrophic) care, while Mint Health is focused on chronic conditions. What became clear was that designing and building a CryptoHealth solution from scratch is very difficult. Both CEOs stressed that their strong network and access to technologies and developer teams were critical assets to leverage while building their platforms. Samir spoke about the previous solutions he developed (MD Revolution and Nucleus Health) and how he is leveraging them into MintHealth. Ildar spoke to his vast global network of JoinWell case users he has already secured in the US, China, Korea, Japan and Estonia. As I mentioned in the invitation to this phone conference, the Crypto-community is not investing in Healthcare (yet). 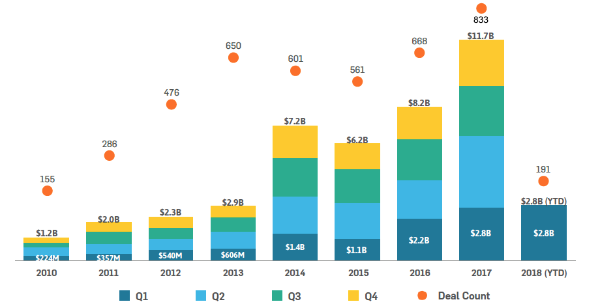 Of the $6B invested in Q1 2018 less than $100MM (1.6%) were invested in cryptohealth compared to almost $3B in VC funding for digital health. When polled, 75% of our listeners said too that: “VC’s are not or not yet interested in investing in cryptohealth”. For this to change we must engage. If we believe that Blockchain technology can simplify payment transactions, dis-intermediate waste and predatory practices, create secure data liquidity to enhance clinical research and incentive patients into practicing healthy behavior then we must support each other and educate the community at large. 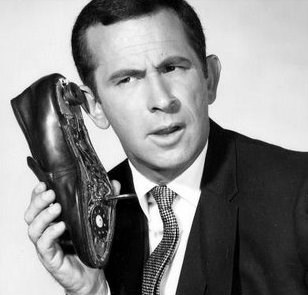 In the meantime please listen to the conference call here. If following our funding efforts, take note: The price of our MintHealth Security Tokenin the Reg CF offering will increase this Thursday at 5:30 PST. The share price will increase from $0.25 to $0.40. 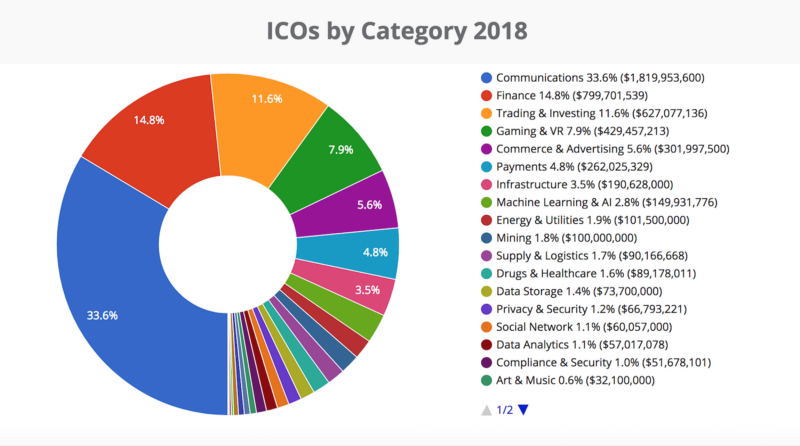 Of the almost $6B infused into the ICO market in 2018, only $90MM was into Healthcare (1.6%), despite over 100 CryptoHealth solutions listed. At the same time $2.9B venture capital funded 191 Digital Medicinecompanies trying to disrupt the $5.7T U.S Healthcare Industry (2026 projection). Why is this? Is the Crypto market not interested in Healthcare or are the CryptoHealth solutions still not robust enough for investment? To answer these questions and many more, on April 25th from 12pm-1pm PST CryptoOracle will host an important and timely discussion between Ildar Fazulyanov, CEO of JoinWell, a veteran in healthcare, fintech and VC; and Samir Damani, clinician and technology entrepreneur, CEO of Mint Health; who will share with the audience why and how they developed their CryptoHealth solution. We will talk about the role that Blockchain technology has in disrupting the current Healthcare Industry business model and how can we get patients, healthcare professionals and institutions to use these applications. 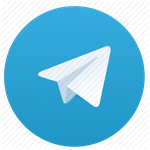 This call is for everyone and anyone interested in Healthcare, Blockchain, Decentralized Economies and thinking about an ICO or investing in ICOs. As I’ve written before, creating a CryptoHealth Solution is not easy and Ildar’s and Samir’s success is worth hearing. We’ll leave plenty of time at the end for questions from the audience. Meet our CEO, Samir Damani! We’re thrilled that Tyson McDowell has joined MintHealth as CTO to lead our technology and development teams. Check out the announcement here. We sat down with Tyson to hear why he’s so excited about blockchain, and after almost two decades in the healthcare industry, why he believes MintHealth is on the cusp of remarkable changes. What about your experience makes you the best person for this position? Most of my experience, as both a CTO and a CEO, has been working directly to optimize processes within the US healthcare system. And as technology has evolved, I’ve helped drive transformation in the industry all the way from data integration to machine learning applications that help maximize staffing and care. I watched healthcare shift from fee-for-service independent providers to large integrated population health management organizations, and watched tech transform from the basic HTML web applications to fully distributed, intelligent, highly persuasive human/technology partnership solutions. This experience has brought me to today and my belief that the greatest application of technology is to use it to drive human behaviors. If we can use technology to drive positive behaviors, that will have the greatest impact on the health system yet. I’ve built and operated almost all of the necessary pieces for such a system at some point in my career, and sold to and served almost every stakeholder in this value chain, so I am lucky to have my passion aligned with my experience and access to market. What do you find especially interesting about MintHealth? Simply put, their approach as I see it has the potential to address an issue that the industry has been struggling with for decades. The healthcare cost problem is a complex issue. There is ever-changing knowledge about what works to move the needle on healthcare cost and life quality. The individual is very disconnected from these processes and decisions, so while good intentions can be had by a person, they are still likely to do actions and consume things that at best, aren’t the most valuable thing they could be doing, and at worst, actually make matters worse. Thanks to Minthealth’s concept of a currency that is immutably tied to real actions and clinically-validated outcomes, the user experience can be as simple as “follow-the-yellow-brick-road.” So Minthealth’s reward token, Vidamints, can sate the human need for immediate gratification, but also the human need for long term gratification as the coin pays out for ultimate result-attainment. It’s easy to explain to users, and the coin is implicitly “healthy” for that, specific person. I’m excited because I actually can visualize healthcare consumers (and that’s really all of us) en-masse will follow the path the coin lays out, and I know our team will ensure that each coin is aligned with something that will actually move the needles of health cost and life quality. It’s our passion, and therefore we will be tenacious at making good on this promise. Why are you excited to join? The team, and the problem they’re solving. As I said, I’ve been around a lot of blocks in my time, in tech, healthcare, and elsewhere. This is a many-dimensional problem that requires knowledge of truth in every one, and to work with a team that has such strong knowledge yet enjoy working together is not an opportunity I wanted to miss. This team’s depth in healthcare, tech, crypto, legal, business strategy, shareholder value optimization (which is now token-holder value optimization) is second to none, and we fundamentally enjoy each-other. If a team likes running together, they are certain to last, and therefore succeed, and therefore win. Why do you think MintHealth is uniquely positioned to have a significant impact on chronic disease prevention and management? Our ability to align patients, even unknowingly, with their most critical risk factors according to the entities who pay for their health, is our core differentiation, and what will ensure our success. Healthcare experts know what an individual should do to move the needle, but individuals rarely do those things. It’s not a lack of knowledge of what to do, it’s a lack of ability to drive the person to do them, consistently, throughout their daily life. Our token, and experience in getting the right message to the right person at the right moment, gives us the best chance of anyone to make transformational traction with individuals in measurably reducing the cost of the whole. That, coupled with our deep integration with real, clinically validated healthcare data that health institutions trust, means our data will be highly effective at driving the next generation of knowledge on disease prevention and management. What are your thoughts about the blockchain and a token incentive approach? Blockchain can replace trust. Maybe that sounds skeptical but healthcare institutions and consumers don’t really trust each other when it comes to Patient Health Data, and as a result, very little data gets to come together so that meaningful machine, or even human analysis can be done. This has been a stumbling block for progress for a long time. The more data aggregates at the individual level, the smarter our system is at knowing that exact next thing at that exact right time to drive the individual to do. And with a token, that user doesn’t need to understand the complex reasons about why that token is available to them just then, and for just that, and why it is valued as it is at that moment. They need only know that they can do x and will get y token. The user experience is simple, and the token embodies all of the knowledge we have gained, and will continue to gain, about connecting that behavior to these very big and complex results of health cost and life quality.